Print out a Collection Sheet and send to school with your child. We will hold class contests twice a year - prizes might be Cupcake or Popsicle Class Parties! Alternatively, you can place Box Tops in a plastic bag or envelope with your child’s teacher’s name. 2. Sign up with Box Tops to Support Westbriar PTA! Box Tops has helped America's schools earn over $300 million since 1996. Sign up to support your school! Shop at your favorite online stores through Box Tops Marketplace. Up to 15% of your purchase is automatically donated to Westbriar at no additional cost to you. Plus you will get deals and discounts! 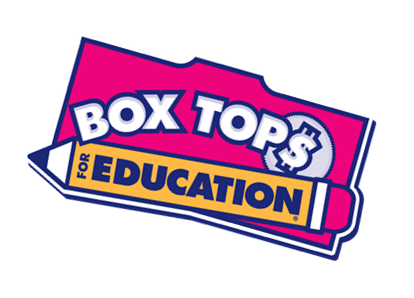 Box top submissions are welcome anytime; just please make sure that you are submitting current (unexpired) tops. Thanks! The deadline for the Fall contest is Friday, December 1 and the deadline for the Spring contest is Friday, June 1. The classroom that collects the most BoxTops will win a class prize! Just attach Box Tops to a Collection sheet or submit your Box Tops in an envelope or Ziploc bag and send them in. Be sure to include your teacher's name on your submission so that your class will get credit for it.